Necessity is the mother of invention, we all know that. If you don’t subscribe you need not look beyond Zimbabwe. Right now, Zimbabwe is being hit by virtually every problem that you can think of associated with economic problems. One such is fuel shortages. In response to the fuel shortages some innovative or rather ‘social media savvy’ individuals now have turned to social media platforms to crowdsource updates about which fuel station has fuel. Instead of wasting your fuel as you drive around trying to find where fuel is, you can just join some WhatsApp groups where people will be voluntarily saying where there is fuel. One person went as far as to start a group on a relatively unknown (in Zimbabwe) social network, Telegram. The Telegram messenger is a messaging app that works just like WhatsApp or Facebook Messenger. The app sells itself as the most secure way of sending messages, which is why those with controversial views have flocked to it in their droves. Back to our story, those motorists interested to get updates about where they can get would have to join the Telegram group by following this link. But why Telegram of all the social media platforms? Although the group already has 61 members, it’s not that active such that you are likely to get only one update per day. The inactivity can be largely attributed to the unfamiliarity of Telegram in Zimbabwe’s social media circles. Why would anyone use Telegram for this purpose (of crowdsourcing information) when there is WhatsApp which is used by a disproportionally large population of Zimbabweans? Even our President Mnangagwa is on WhatsApp. Instead of forming social media groups, a mobile app could the ideal tech solution for crowdsourcing fuel availability information. But developing an app specifically for this only makes sense if the current fuel shortage is a long-term problem. And I don’t think the fuel shortages are going to stay for a long time. In light of that, developing a mobile app will make the app redundant in a short while. So unless you are a developer who just want to assess whether you are now good at developing, I wouldn’t advise you to develop an app for this. 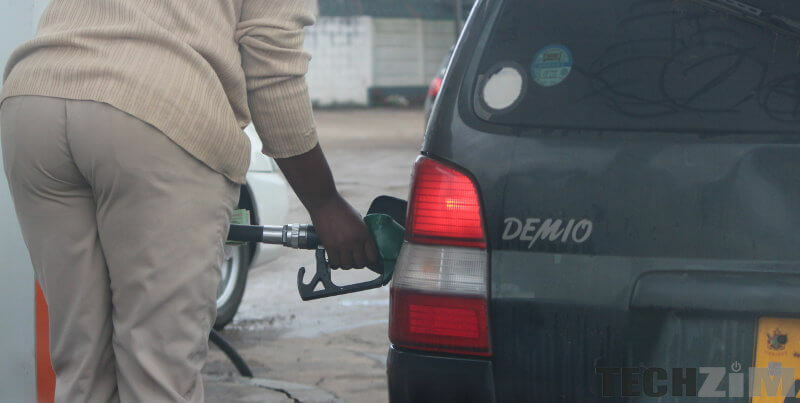 Also Read: Can you help me, where is the fuel in Zimbabwe?